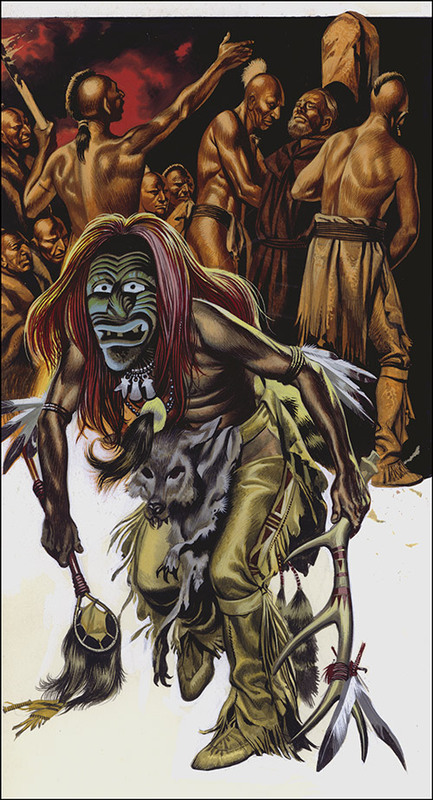 Ron Embleton paints a vivid depiction of a Native American Shaman dancing with antler and dream catcher in hand, before setting light to a human sacrifice. This striking original is such a powerful image it undoubtedly caught the imagination of the readers of Finding Out magazine when it was published. 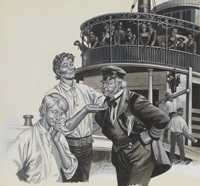 It also appeared in the Look and Learn series 'When the Red Man Rode'.